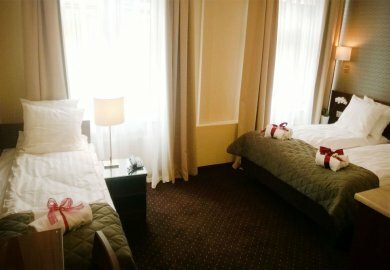 A comfortable room with a large bed, full furnishing, and aesthetically decorated bathroom. 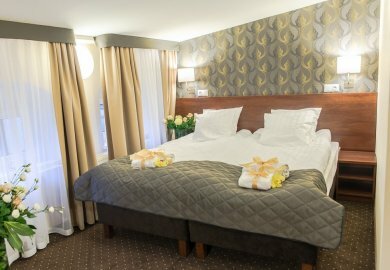 The room is perfect for relaxation during a business trip or after an intense day of sightseeing in the city. Black-out curtains increase the comfort of a quiet night.